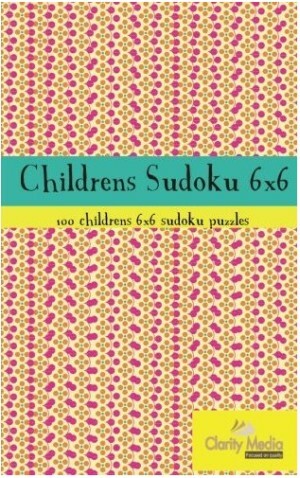 Children who like sudoku are sure to love our book of 100 brand new 6 x 6 sudoku puzzles. The puzzles work just like the most common 9x9 version, but with just the numbers 1 - 6 to place in each row, column and box they present a more manageable challenge for children, whilst still providing the same solving fun and satisfaction, and using the same logical rules. All the puzzles in this book are designed with children and the younger sudoku solver in mind, so they only require the two most simple solving rules used in sudoku: seeing which numbers can go in a particular square in the grid, and working out where in each region (row, column and bold-lined box) an individual number can go. There's no guessing involved or particularly difficult logic. 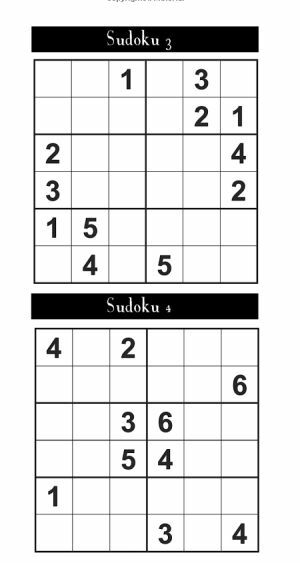 So for the younger sudoku solver, these puzzles will provide a more manageable challenge to the standard 9x9 puzzle and provide a stepping-stone to moving up to solving those puzzles. There is a great deal of satisfaction to be had from solving sudoku puzzles, for young and old alike, and the 100 puzzles in this book will provide many hours of solving fun. Puzzles are carefully picked and graded so that no puzzle requires really difficult solving rules as might appear in adult puzzles. As such, in addition to being great for children, these puzzles are also ideal for adults and others who are looking for a puzzle that is a quick solve, perhaps if you don't have time for a 9x9 puzzle or just want a simpler solve for any reason.